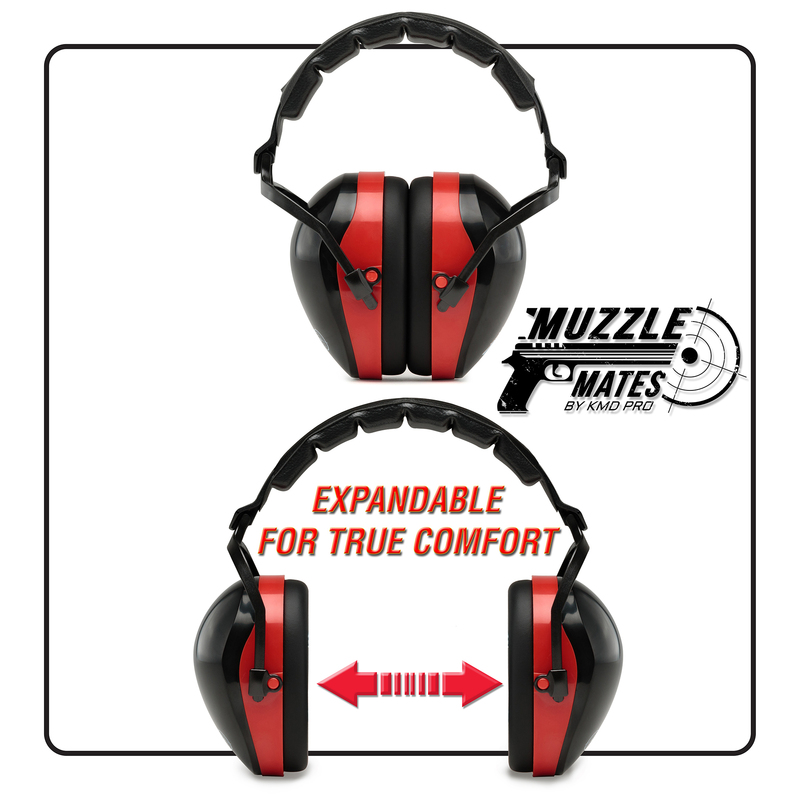 SUPERIOR HEARING PROTECTION: The Muzzle Mates ear muffs are professionally designed to block the widest sound spectrum. 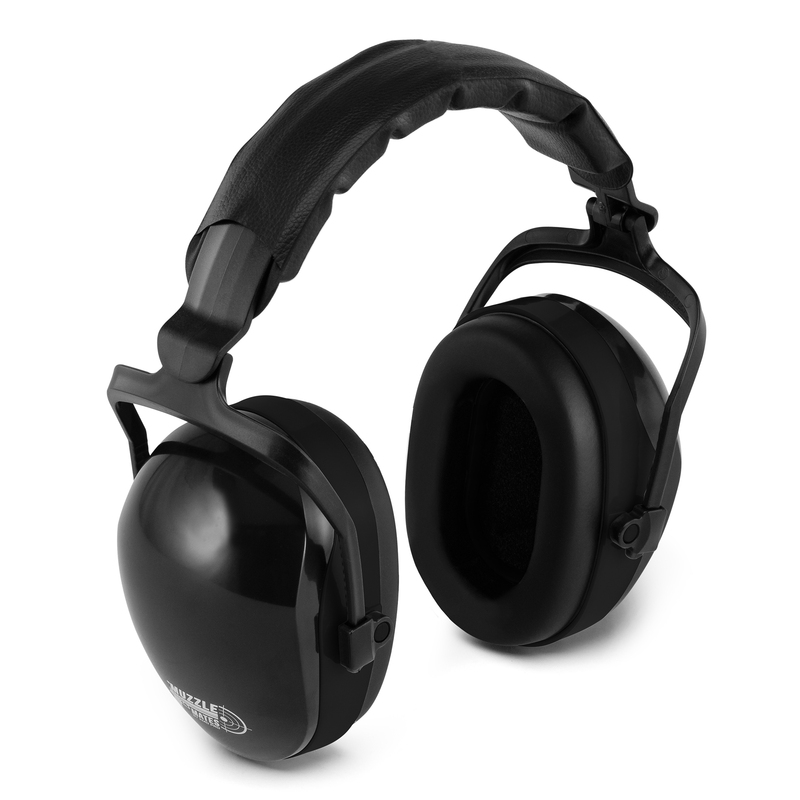 With a genuine noise reduction rating of 32db, these make the perfect ear muffs for shooting, construction work, NASCAR events, hunting, power tool use, and other dangerously loud environments. EXPERIENCE TRUE COMFORT: Our noise cancelling ear muffs feature a padded headband and specially crafted padded cups to make for unrivaled comfort even during prolonged wear. The cups of the safety earmuffs can easily be adjusted to accommodate any head size, ensuring a nice fit on kids, women, or men. DESIGNED FOR PORTABILITY: These conveniently lightweight soundproof earmuffs can easily be folded to greatly save on space and allow for maximum portability. Pack them with the rest of your gun range accessories without dealing with bulk. HEAVY DUTY PERFORMANCE: Made using premium materials, these noise reduction ear muffs are your best bet when tackling the outdoors. 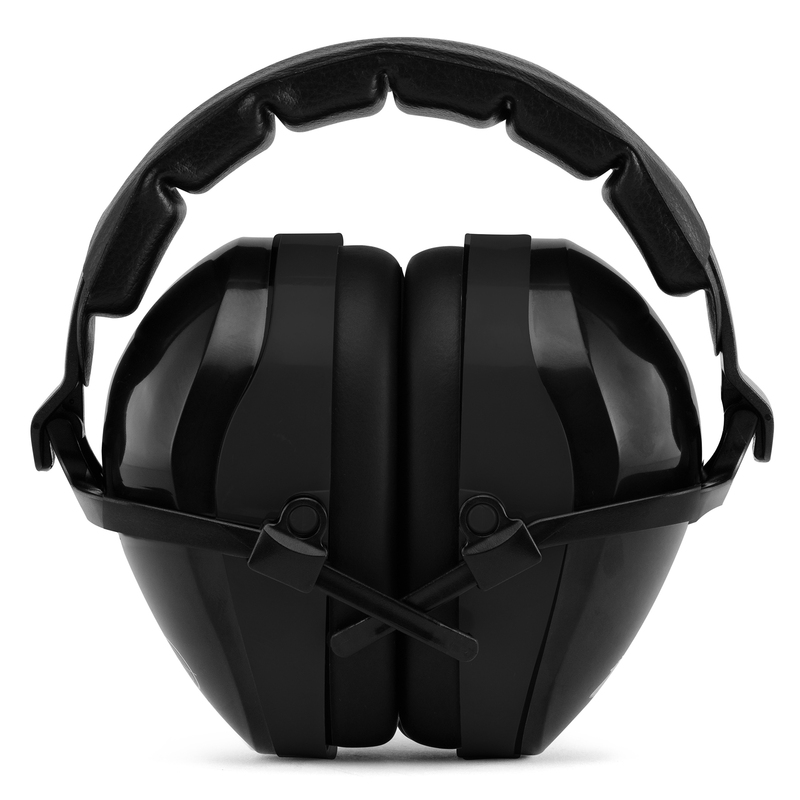 Designed to weather through rain, dust, mud, and sweat, our industrial-grade protective earmuffs are the perfect complement to your hunting weekends or trips to the shooting range. RISK FREE PURCHASE: The Muzzle Mates ear defenders come with a no-hassle 1-year warranty to give you absolutely nothing to lose. 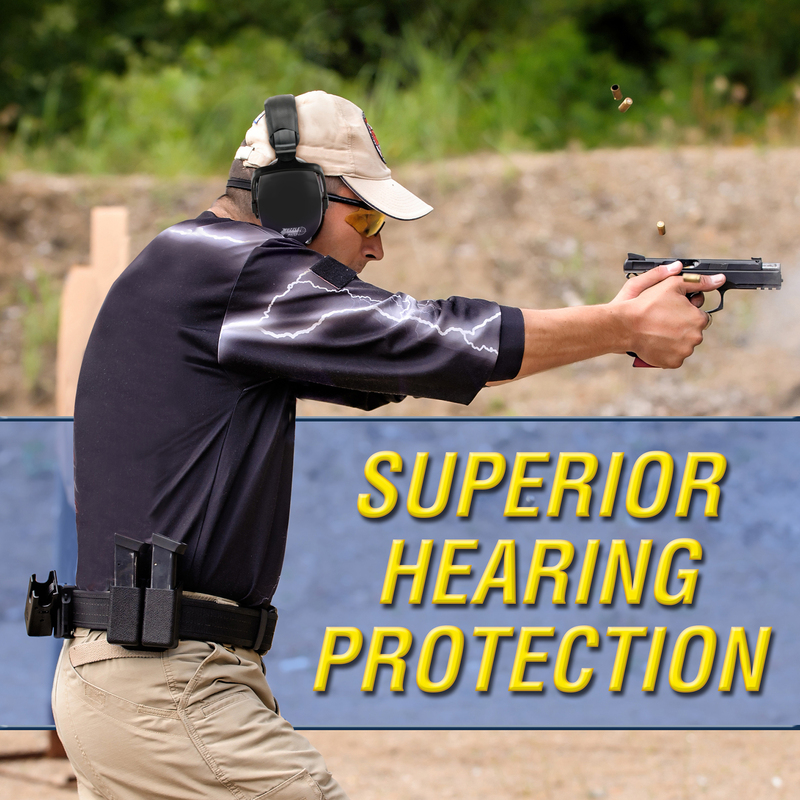 Experience the ultimate gun range hearing protection completely risk free. Click ‘Add to Cart’ now! 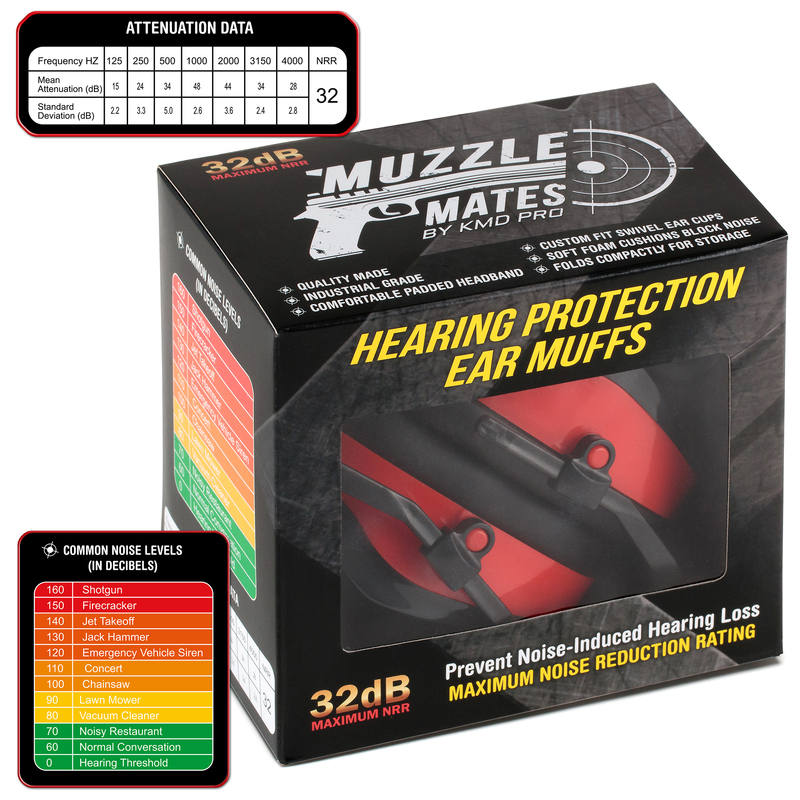 When the situation calls for superior hearing protection, the Muzzle Mates ear muffs are your best bet to get the job done! Experience an unrivaled combination of safe sound blocking, great comfort, and heavy duty design. Specially designed to block the widest sound spectrum, these headband ear muffs boast a genuine noise reduction rating of 32db. Whether you’re at the shooting range, doing construction work, enjoying a NASCAR race, or working lawn equipment, these decibel reducing earmuffs are the perfect solution for safe ear noise protection. Work or play in total comfort thanks to the padded headband and cups of these protective earmuffs. You can also slide the cups along the headband to adjust the ear muffs to fit just about any head size. 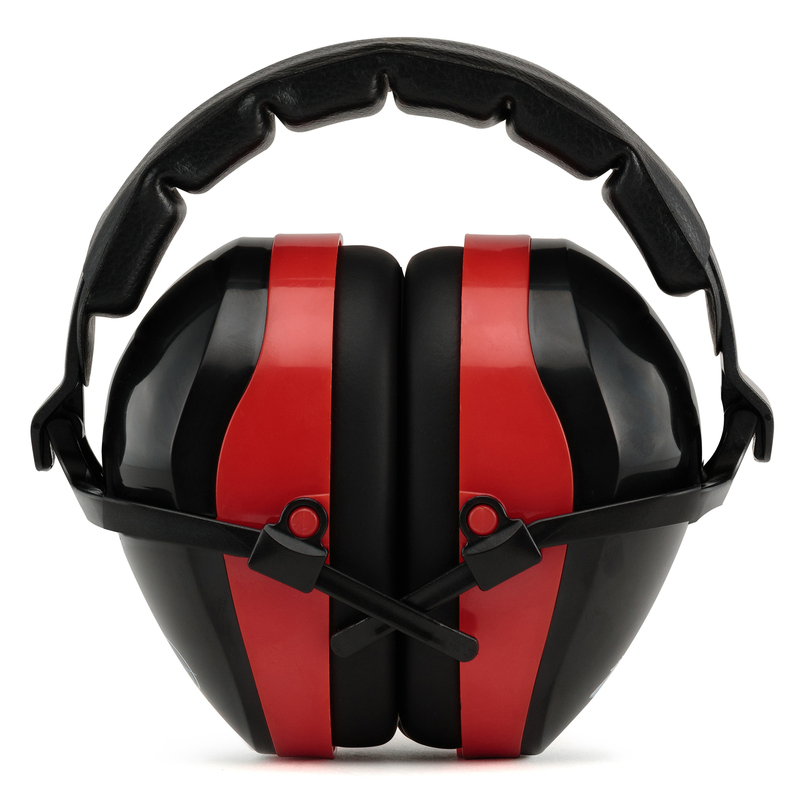 Experience soundproof earmuffs you can wear for prolonged periods without any discomfort. 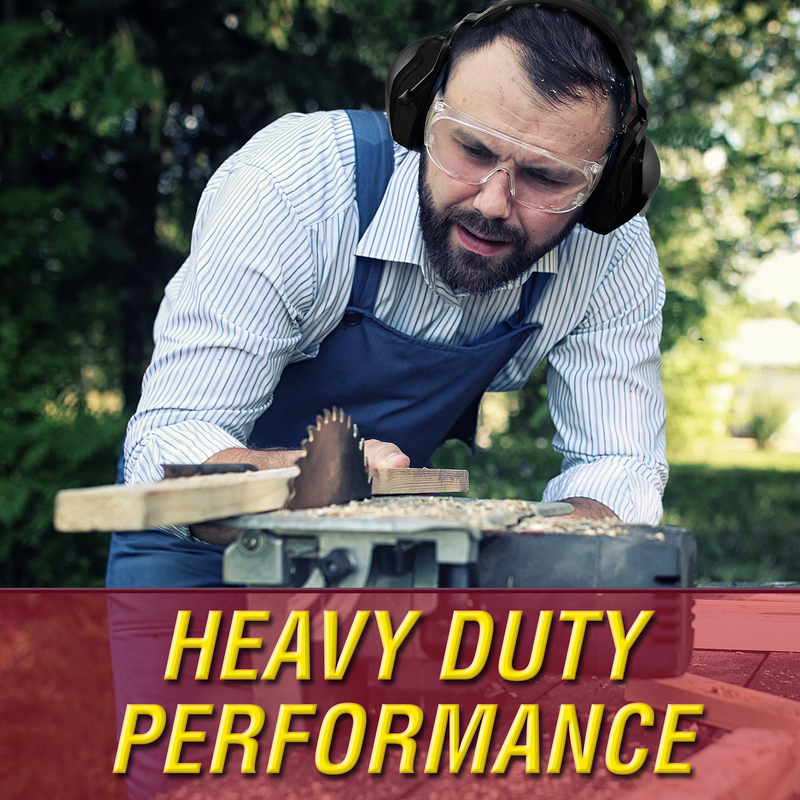 Made using top-of-the-line materials for impressive durability, these heavy duty earmuffs are the best accessories for tackling the outdoors. Whether you’re hunting or out on the shooting range, the muffs will remain in great condition even when exposed to dirt, mud, sweat, or rain. Conveniently foldable, Muzzle Mates adjustable earmuffs greatly save on space for easy storage. We’ve also designed them to be lightweight yet sturdy, allowing for hassle-free portability and ensuring added comfort. We pride in giving our customers 100% satisfaction with every purchase. And that’s why we’ve backed the best hearing protection muffs with a no-hassle 1 year warranty to give you total peace of mind. We’ll gladly offer a replacement in case of any dissatisfaction.